It is now impossible to imagine the English Premier League without Chelsea F.C. This London club exists for over a century, and all the Chelseaplayers are highly respected by their fans and other football squads. Being one of the top-earning teams in the world, it can pay a lot to every footballer. So who is the Chelsea highest paid player in 2018? Football players earn a lot of money when they grow professionally and join the top world clubs. Every famous team boasts its own highest paid soccer player, and Chelsea is not an exception. The winner of numerous prestigious trophies (several League Cups, FA Cups, FA Community Shields, UEFA Super Cup and other awards) is willing to award Chelsea players with nice weekly salaries and extra bonuses. 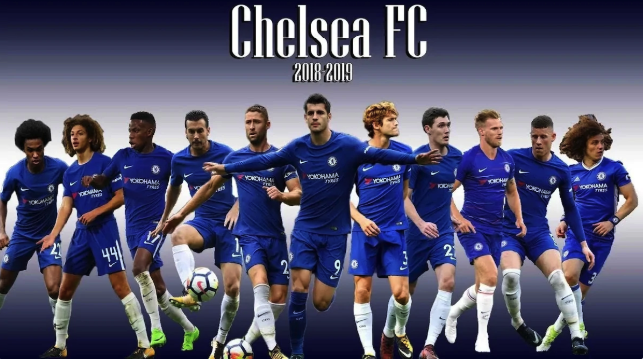 According to spotrac.com, the team members are paid from 3,000 pound sterling to 200,000 pound sterling per week in 2018.
Who is this Chelsea FC highest paid player who earns 200,000 pound sterling weekly or over 10 million pound sterling per year? You will find the answer to this question below. WHO IS THE HIGHEST PAID PLAYER IN CHELSEA RECENTLY? Just like the rest of his squad, the highest paid footballer Eden Hazard wears the famous royal blue kit with the lion crest completed with white socks. This Belgian highest paid soccer player represents two teams. He plays for Chelsea and also plays for his national football club in Belgium. Hazard’s full name is Eden Michael Hazard, however, all the fans of Chelsea know him shortly as Hazard or Eden Hazard. The man’s family history influenced his decision to play football which has now resulted in his top earnings. Both his parents also played soccer, thus their son’s future was predicted since birth. Today he is incredible as a midfielder (sometimes he plays as an attacking, and sometimes as a wide midfielder). Being highly valued for his control over the ball on the field, speed and incredible passes, the footballer is also known for his creativity, hardworking character, and awesome style. No wonder he is number one on the list of Chelsea highest paid players in 2018, and he has been playing for this popular club since 2012. We are sure that the career of this talented 27-year-old footballer will bring him many great awards, even though he is already the holder of a big number of prestigious titles such as Player of the Year, UEFA Europa League, FWA Footballer of the Year, FIFA Silver Ball 2018 to name a few. P.S. According to Forbes, Chelsea is currently one of the top 10 most valuable soccer squads on our planet. Valued over 2 billion U.S. dollars in the season of 2016-2017, this club has all the opportunities to award millions of U.S. dollars per year to its highest paid soccer player in 2018-2019 season. Now you know the name of Chelsea highest paid player in 2018. With an impressive weekly salary of 200,000 pound sterling, this man (his number on the team is 10) deserves his payments. Besides, sometimes fans compare his style of playing with two most popular and highest paid footballers in the world, Cristiano Ronaldo and Lionel Messi. Isn’t it awesome?